S.A.L.T (Sail and Life Training Society) teaches life skills for youth, through week-long trips on their two tall ships. 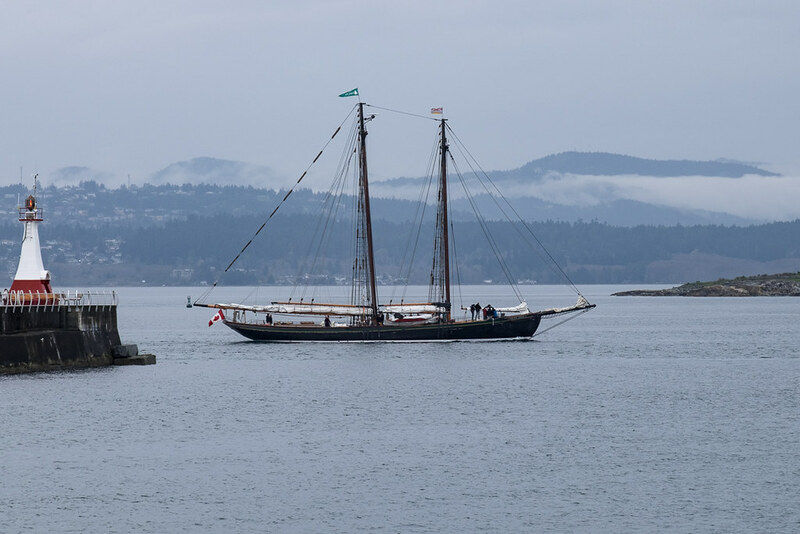 The Pacific Grace (below), one of their ships, is seen here returning to Victoria Harbour. She and her sister ship, Pacific Swift, are quite a sight with all their sails raised and catching the wind.